Iridium Communications announced the successful second launch of its next-generation network, Iridium Next. This payload of 10 satellites deployed into Low Earth Orbit (LEO) approximately one hour after a SpaceX Falcon 9 rocket lifted off from Vandenberg Air Force Base in California on Sunday, June 25. With this launch complete, there are now 20 Iridium NEXT satellites in orbit, establishing the infrastructure for technologies such as Iridium Certus and Aireon’s space-based Automatic Dependent Surveillance-Broadcast (ADS-B) aircraft tracking and surveillance service. This launch has increased the total number of Aireon payloads in orbit to 20 with another 55 destined for space in a series of six additional launches planned for the next twelve months. Aireon’s technology will provide real-time global air traffic surveillance and tracking, which will bring aircraft visibility to all regions of the planet. A SpaceX Falcon 9 successfully launched a Bulgarian communications satellite June 23, a mission that marked the second time the company reused the rocket’s first stage. The Falcon 9 carrying BulgariaSat-1 lifted off from Launch Complex 39A at the Kennedy Space Center at 3:10 p.m. Eastern, one hour into a two-hour launch window. SpaceX said additional pre-launch ground tests prompted the delay. The spacecraft separated from the Falcon 9’s second stage 35 minutes after liftoff. Ajit Pai, chairman of the Federal Communications Commission, released a statement this week confirming that the FCC has approved OneWeb’s petition to enter the U.S. market with its planned constellation of 720 satellites. According to OneWeb, its Low Earth Orbit (LEO) constellation will make broadband access available to individuals across the world who have limited or no access today. When fully deployed, OneWeb’s system will support a variety of services in the U.S. and globally, including cellular backhaul, mobility services, community and residential internet access, and emergency communications. The European Space Agency began funding a reusable rocket engine anticipated to be ready for a test-fire demonstration in 2020, the same year as the first launch of the future Ariane 6 rocket. ESA and Airbus Safran Launchers, the 50-50 joint venture between Airbus and Safran that is rebranding as ArianeGroup, signed a contract to develop Prometheus, a liquid- oxygen-and-methane-fueled engine that would cost 1 million euros ($1.1 million) per copy, or a tenth of what Ariane 5’s Vulcain 2 first-stage engine costs to produce. ArianeGroup is working on Prometheus in parallel with development of Ariane 6, which will initially rely on the expendable Vulcain 2.1 engine. Glavkosmos, under the support of the Roscosmos state corporation, provides orbital flights on board the Soyuz spacecraft, with docking at the International Space Station (ISS), for space tourists, Glavkosmos Director General Denis Lyskov told reporters on Tuesday. "Tourism is potentially possible, but at this stage we do not link it to the ISS program. In other words, we can prepare only a separate mission for space tourists, in which one our professional cosmonaut and two tourists will fly. This is a separate mission, but docking at the ISS is possible," he said. Globalstar announced that Spain’s coastal authority, Salvamento Maritimo, has chosen Spot Trace to help train its search and rescue teams as well as oil spill disaster recovery crews. Salvamento Maritimo attaches small Spot Trace units to human-like dummies that are placed in the ocean to simulate emergency search and rescue situations. By capturing and analyzing the tracking data from Spot Trace as the dummy moves in the water, Salvamento Maritimo can determine how far a person in water might drift due to ocean waves, currents and winds using the Search and Rescue Model and Response System (SARMAP) application. By accurately predicting the movement of victims in the ocean, Salvamento Maritimo can refine and enhance its rescue procedures and life-saving operations. Russian state aerospace corporation Roscosmos, NASA and the European Space Agency (ESA) will likely be the main partners in Deep Space Gateway lunar orbital station project, Roscosmos Director General Igor Komarov told reporters at Le Bourget 2017 aerospace show. 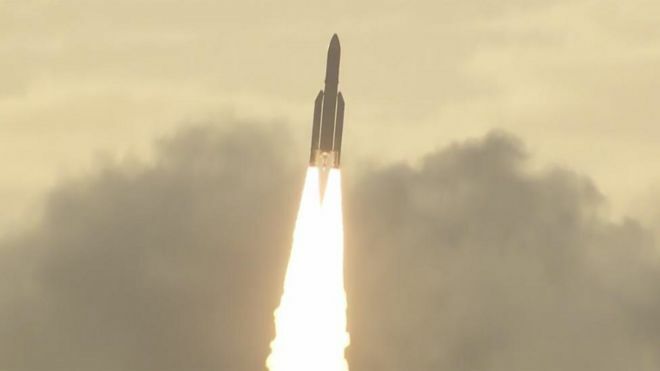 "I think NASA, ESA and Roscosmos will be the most active of all participants in this project and the concrete roles will get contours later," he said. "It’s too early yet to speak about the details of participation and contributions. Apart from these three agencies a big number of other participants is also engaged in the project of the lunar orbital station. A new Europe-wide wifi service for aeroplanes came a step closer on Wednesday night with the launch of a key satellite from French Guiana. Airline passengers will soon be able to connect to the internet either through this spacecraft or a complementary system of cell towers on the ground. The company behind the so-called European Aviation Network is Inmarsat, the UK's biggest satellite operator. SpaceX’s Falcon 9 rocket will deliver 10 satellites to low-Earth orbit for Iridium, a global leader in mobile voice and data satellite communications. This is the second set of 10 satellites in a series of 75 total satellites that SpaceX will launch for Iridium’s next generation global satellite constellation, Iridium® NEXT. The satellites will begin deployment about an hour after launch. Following stage separation, the first stage of Falcon 9 will attempt a landing on the “Just Read the Instructions” droneship stationed in the Pacific Ocean. Iridium’s Test of First 10 NEXT Satellites Pass With Flying Colors Now SpaceX and the Second 10 NEXT Satellites are Ready to Go! The January launch of Iridium's 10 NEXT satellites has gone smoothly from the launch until recently when they all passed their in-orbit tests 'with flying colors'. These satellites are now interconnected, and are operating in full compatibility with the initial Block One constellation. Having passed this milestone, the second batch of 10 satellites is now ready for launch on June 25th at 1:25 pm PDT (20:25 UTC). by SpaceX from the Vandenberg Air Force base in California. To meet unexpected levels of demand for its Fleet Xpress service, Inmarsat is boosting the number of ports where a complete service installation with a flat fee is available from six to 33. Fleet Xpress installation will now be available at 12 Asia Pacific ports, 11 in the Europe, Middle-East and Africa region, and 10 ports in the Americas. Inmarsat-certified engineers will undertake all the work, according to the company. Inmarsat’s enhancement of its installation capabilities is part of the company’s strategy to support the global adoption of the Fleet Xpress service, which combines Inmarsat’s Global Xpress and L-band networks. NanoRacks and NASA have signed the contract for Ixion, a commercial habitat concept study first announced last summer that will focus on repurposing spent launch vehicle upper stages. NanoRacks is working with United Launch Alliance (ULA) to provide launch services as well as Space Systems Loral (SSL), which will provide robotic outfitting capabilities. Funded by the NASA NextStep 2 award, the Ixion concept is the only NASA-funded program that focuses on repurposing spent launch vehicle upper stages. Inmarsat and Cobham Satcom announced that United Airlines will participate in a technology evaluation of SwiftBroadband-Safety, Inmarsat’s next-generation flight deck communications platform. Inmarsat will evaluate the platform on four United Airlines’ Boeing 767 aircraft, which will be installed with Cobham’s Aviator 300D satcom system. Enabling communications with real-time inflight information, the service enhances airline safety, asset utilization, security, and operations, Cobham stated. In the world of rocket science and space flight, good and bad things can happen in a split second. And what virtually any scientist will tell you is that planning for the worst is what prevents many bad things from occurring in the first place. On a sunny, warm spring day in the vast openness of Box Elder County — at exactly 1 p.m. — an intense blast of superhot light flashed several stories into the air billowing thick plumes of smoke high into the blue sky above. With administration plans to cancel it announced earlier this year, and a lack of congressional support, NASA is in an “orderly closeout” phase of its Asteroid Redirect Mission (ARM) while keeping alive some of its key technologies for other applications. In a presentation at a June 13 meeting of the Small Bodies Assessment Group (SBAG) here, Michele Gates, program director for ARM at NASA Headquarters, said the mission received its “notice of defunding” from agency leadership in April, weeks after a budget blueprint document for fiscal year 2018 released by the White House called for cancelling the mission. Iridium satcom specialist Rock Seven has unveiled RockAir, the latest addition to its global tracking technology portfolio. RockAir delivers regular Global Positioning System (GPS) location reports from anywhere in the world over the Iridium satellite network or Global System for Mobile communication (GSM), helping to improve flight safety by accurately tracking the location of a light aircraft at user defined intervals. According to Rock Seven, RockAir is the only dashboard-mounted tracking system to offer dual-mode functionality over satcom and cellular networks. 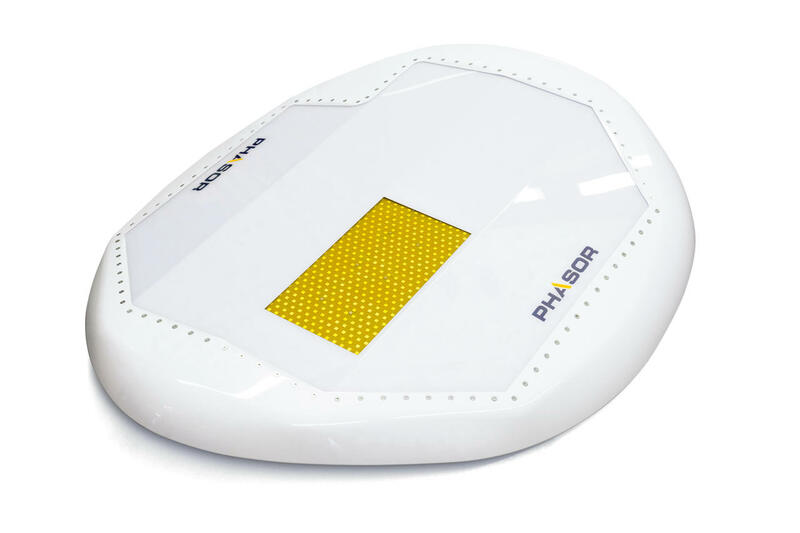 The solution provides lower-cost GSM based tracking when in cellular range, and failover to an Iridium satellite when outside of built-up area. GPS coordinates are automatically transmitted using whichever network is available and most cost effective. After pushing back the launch of a Bulgarian communications satellite on Sunday, June 18, SpaceXannounced it could proceed with “double-header” launches this coming weekend. Falcon 9 was set to launch BulgariaSat 1 from Launch Complex 39A at NASA’s Kennedy Space Center, but SpaceX stated on Twitter it would delay the launch to replace a valve on the rocket’s fairing. Iridium Communications has announced that all 10 Iridium NEXT satellites have arrived at Vandenberg Air Force Base (VAFB) in California and are being processed for the second launch that is scheduled for June 25th at 1:25 p.m. PDT (20:25 UTC) — this launch starts an ambitious deployment cadence for the additional six SpaceX launches of Iridium NEXT satellites. The June 25th launch is the second of eight launches for the Iridium NEXT program. Under the lead of Thales Alenia Space (Iridium NEXT System Prime Contractor), the satellites were shipped in pairs from the Orbital ATK Satellite Manufacturing Facility in Gilbert, Arizona. The satellites were transported in specially designed motion and temperature-controlled shipping containers. Facebook wants to use solar powered Unmanned Aircraft Systems (UAS) to connect up to 66 percent of the planet, considered remote areas, with outdated or no internet service at all. On June 7 at the fourth-annual Global Connected Aircraft Summit, David Hansell, who serves as the leader of Facebook’s global aviation policy, gave an audience of satellite and aviation professionals an update on the company’s Aquila project. The Silicon Valley-based company, known for its popular social media network, completed the first successful flight of its solar-powered autonomous aircraft, Aquila, on June 28, 2016, in Yuma, Arizona. The aircraft has a wingspan wider than a Boeing 737, and a carbon fiber composite airframe that weighs less than 1,000 pounds. Inmarsat is launching a unified threat management (UTM) solution to take away cyber security risks. The solution – which will be available later this year – will be embedded within existing hardware onboard and is described as a ‘virtual machine’ that can be provisioned at any time, to provide data inspection and protection for the cyber security of the vessel by inspecting all traffic flows through the onboard controller. “If a server or client is compromised, it can be isolated automatically and keep the rest of the network clean,” explained Inmarsat senior vice president for safety and security services Peter Broadhurst. All incidents are reported back to the portal so that the ship operator can be alerted to any cyber security breaches and take corrective action. Dulles, Virginia 11 June 2017 – Orbital ATK (NYSE: OA), a global leader in aerospace and defense technologies, today announced that its “S.S. John Glenn” Cygnus spacecraft successfully completed its seventh cargo logistics mission to the International Space Station under NASA’s Commercial Resupply Services (CRS-1) contract. The mission also marked the third time that Cygnus was used as a research platform for conducting in-space research with all mission objectives executed as planned. The AST Group, a leading global provider of satellite communications services and solutions, today announces the launch of INTEGRA Control, which offers the first real-time application control for satellite communications. 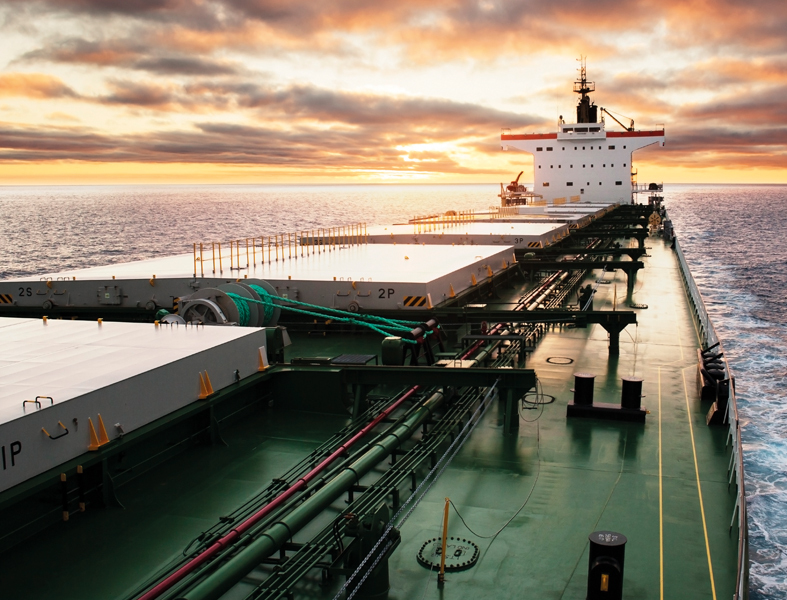 And the launch of INTEGRA Edge, a purpose-built hardware solution for maritime communications, which now makes it easy to manage traffic on board vessels. Both solutions enable users to block unwanted traffic to instantly save money and use their bandwidth more efficiently. Hughes Network Systems announced that its recently launched HughesNet Gen5 satellite internet service is now serving more than 100,000 homes and small businesses, including both new subscribers and upgrades. According to the company, subscribers in every continental U.S. state have been connected to the service. Launched in late March 2017, new customers to HughesNet Gen5 are experiencing faster speeds, more data, built-in Wi-Fi and an overall improved internet experience, Hughes stated. HughesNet Gen5 offers Federal Communications Commission (FCC) defined broadband speeds — 25 Mbps download and 3 Mbps upload — from coast-to-coast. Russia’s Proton rocket returned to service June 7, almost one year to the date from vehicle’s last flight, delivering a U.S. telecommunications satellite into geostationary transfer orbit. The commercial mission, organized by International Launch Services of Reston, Virginia, lifted off at 11:45 p.m. Eastern Time (9:45 a.m. local time) from the Baikonur Cosmodrome in Kazakhstan carrying the EchoStar-21 S-band satellite for Englewood, Colorado-based fleet operator EchoStar. Roscosmos confirmed June 8 that EchoStar-21 separated from Proton’s Breeze-M upper stage 9 hours and 13 minutes into the mission after five separate engine burns, as planned. By cost, Swiss startup Else is the smallest low-Earth orbit venture to have partnered with an established geostationary operator as the prevailing industry mindset shifts from skepticism to opportunity. The company estimates it can build, launch and operate a 64-cubesat constellation for less than $50 million to provide low-data-rate communications. Dubai-based mobile satellite services provider Thuraya, in the midst of designing its own next-generation geostationary constellation called Futura, partnered with Else in April to collaborate on technical and regulatory fronts, along with combined sales and marketing of products. Inmarsat PLC (ISAT.LN) said Friday it will build another Global Xpress broadband network communications satellite for $130 million in the next three years. The satellite will cover the Middle East, Europe and the Indian subcontinent and should be launched in 2019, the company said. Inmarsat also said on Friday that Qatar Airways has chosen its new GX Aviation in-flight broadband, which is supported by the recently launched satellite. SpaceX successfully launched a Dragon spacecraft for the company’s 11th Commercial Resupply Services (CSR-11) mission to the International Space Station (ISS). This mission marked the first reflight of a Dragon capsule, having previously flown during the fourth Commercial Resupply Services mission (CRS-4) back in September 2014. Inclement weather delayed the launch, originally scheduled for Thursday, June 1, but the Falcon 9 safely lifted off at 5:07 p.m. EDT on Saturday, June 3. SpaceX was also able to recover the rocket’s first-stage booster at the Cape Canaveral Air Force Station. 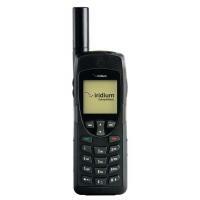 Cobham Satcom has unveiled its first Iridium Certus Connected terminal, the Sailor 4300 aimed at the maritime market. 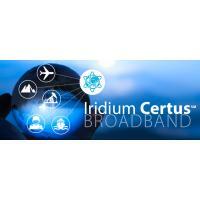 Due to launch in the first half of 2018, Iridium Certus is a new portfolio of global satellite services powered by Iridium Next, a second-generation L-band global satellite constellation established to provide global communications. 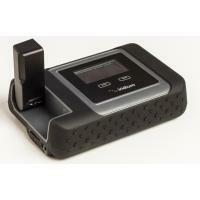 According to Cobham, the Sailor 4300 is a Broadband Core Transceiver (BCX) type terminal, offering a link over the Iridium Next satellite network with speeds suitable for data-heavy applications including: videoconferencing, multi-user internet/Virtual Private Network (VPN), Internet of Things (IoT) and telemedicine, alongside regular usage such as email, electronic forms/reporting and crew communication. The Missile Defense Agency’s ground-based defense system successfully intercepted an intercontinental ballistic missile during the first live-fire test of its kind Tuesday, the agency said, a demonstration meant to show the U.S. ability to shoot down any incoming missiles launched from North Korea. The Ground-based Midcourse Defense (GMD) is designed to intercept and destroy missiles during the midcourse of their trajectory through space. Tuesday’s test was the first time the system had faced a live-fire ICBM-class test, MDA said in a press release. The first launch of Russia’s Proton rocket in nearly a year is now scheduled for June 7, a nine-day slip driven by a review of the ground systems at the rocket’s launch site. When Proton finally lifts off, it will be carrying EchoStar 21, a 6,900-kilogram commercial telecommunications satellite for Englewood, Colorado-based fleet operator EchoStar. Proton’s manufacturer, Moscow-based Krunichev Space Center, said May 30 that preparations are underway for the launch from Russia’s Baikonur Cosmodrome in Kazakhstan. The academic community can and should play a larger role in tackling the issues of space debris and space situational awareness, according to Moriba Jah, an associate professor for the University of Texas’ aerospace engineering department. In an interview with Via Satellite, Jah said the aerospace industry must invest in “rigorous and comprehensive” scientific research in order to quantify and predict the behavior of objects in space and also enable long-term sustainability of space activities. Prior to his current position, Jah worked as a space navigator for NASA’s Jet Propulsion Laboratory, as well as the director of the Advanced Sciences and Technology Research Institute for Astronautics (ASTRIA) under the Air Force Research Laboratory (AFRL). That experience, he said, opened his eyes to the obstacles that make addressing orbital debris so challenging. Emerging global connectivity capabilities will be one of the biggest drivers for new in-flight applications — especially on the operations side — according to speakers at a Washington Space Business Roundtable (WSBR) panel on May 25. SpaceX moved the launch date for the second Iridium Next mission ahead by four days thanks to new range availability at Vandenberg Air Force Base, mobile satellite service provider Iridium announced today. The launch, previously scheduled for June 29, is now slated for June 25 at 1:24:59 p.m. local time (4:24:59 p.m. EDT). SpaceX is launching the entire Iridium Next constellation over the course of eight missions, seven with 10 satellites, and one split between five Iridium Next satellites and a NASA-Germany science spacecraft. This second mission has an “instantaneous launch window,” meaning it must occur precisely at the scheduled time. Travel bans barring passengers from bringing laptops and tablet computers onboard airplanes aren’t much cause for concern for satellite operators who provide airlines with internet connectivity, executives said May 25, but protecting those devices from hackers and cyber criminals is. Inmarsat and ViaSat, two satellite operators reporting fast growth from connecting passenger devices on commercial aircraft, dismissed fears that recently introduced bans, intended to reduce the risk of terrorist attacks, would stunt an otherwise lucrative business opportunity. Rocket Lab announced that its Electron rocket reached space after lifting off from Rocket Lab Launch Complex 1 on the Mahia Peninsula in New Zealand on May 25. According to Rocket Lab, the Electron is the first orbital-class rocket launched from a private launch site in the world. “We had a great first stage burn, stage separation, second stage ignition and fairing separation. We didn’t quite reach orbit and we’ll be investigating why, however reaching space in our first test puts us in an incredibly strong position to accelerate the commercial phase of our program, deliver our customers to orbit and make space open for business,” said Peter Beck, Chief Executive Officer (CEO) of Rocket Lab. The Air Force announced May 26 it is adding $45.99 million to an existing Lockheed Martin contract for construction of two missile warning satellites. The announcement adds to the $1.86 billion Lockheed won in 2014 to build the fifth and sixth geostationary satellites for the Air Force’s Space-Based Infrared System (SBIRS), the service’s primary missile warning, launch detection, and tracking constellation. The additional money will “provide integration of an additional subsystem and propulsion modifications,” the Defense Department said in a press release. Work will be performed at the company’s Sunnyvale, California, location and is expected to finish by July 31, 2022. Alaska Communications announced that it has signed a non-exclusive Memorandum of Understanding (MOU) to become the first reseller of OneWeb enabled broadband access in Alaska. Starting in 2019, this new broadband service will be available to every Alaska home, school, business, and community center, according to the company. OneWeb’s system includes 900 high-throughput Low Earth Orbit (LEO) satellites capable of providing more than 7 Tbps of new global capacity. OneWeb will align the constellation in a polar orbit to ensure coverage of 100 percent of the United States, including Alaska, which historically has had poor coverage from the satellite industry due to its high latitude. RemoveDebris, a space-junk-wrangling spacecraft once slated to hitch a ride to the International Space Station with SpaceX in June, won’t launch until the end of 2017 or early 2018 to allow additional NASA safety reviews, according to the European project’s manager. With the launch of SES’ SES 15 satellite, Raytheon’s GEO 6 payload has reached orbit for its 12-year mission. It is the latest payload to support the U.S. Federal Aviation Administration’s (FAA) Wide Area Augmentation System (WAAS), which enhances the reliability and accuracy of Global Positioning System (GPS) signals for directing air travel. According to Raytheon, the payload is a key element of WAAS, which offers commercial, business, and general aviation pilots more direct flight paths, greater runway capability, and precision approaches to airports and remote landing sites without dependence on local ground-based landing systems. Commercial space companies and space law experts recommended against any changes in the Outer Space Treaty at a recent hearing, arguing regulatory issues can be better addressed through laws and regulations. The May 23 hearing of the Senate Commerce Committee’s space subcommittee examined whether the 50-year-old treaty, widely considered the foundation of international space law, should be updated to reflect growing commercial space activities, and the potential for conflicts they may generate.